He added that a lot of the strategy is about fulfilling the basics, as a May 2018 risk determination report across the federal government found that approximately three-quarters of agencies were at moderate or high cyber risk. The strategy takes its lead from the four pillars of the National Security Strategy: protecting the American people and way of life; promoting American prosperity; preserving peace through strength; and advancing American influence. “It is oriented around the National Security Strategy, which makes sense because cyber and cybersecurity are so critically aligned with our national security,” said Schneider. Central to improving cybersecurity within the government and industry is increasing the cybersecurity workforce in the United States and encouraging them to join federal service. “I don’t view cybersecurity as a technology challenge; I view it as a people challenge,” said Schneider. 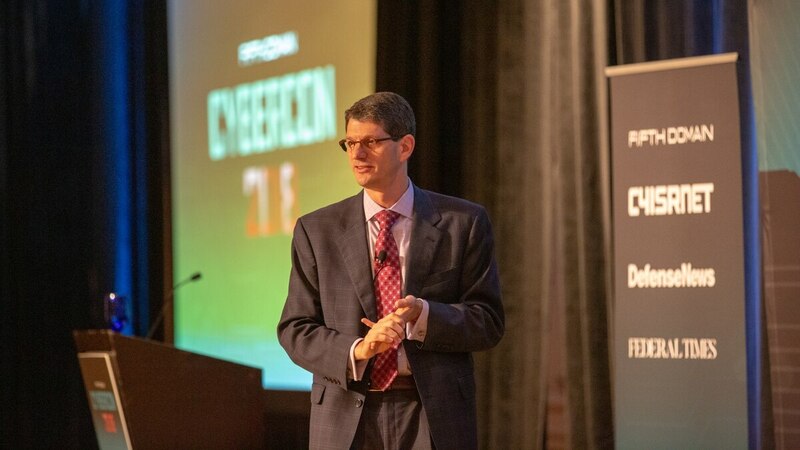 For example, the other senior members of a private sector company or government agency need to have enough cyber understanding to know that there is no such thing as perfectly safe, and not punish a CISO for saying that they will always be in some level of danger, according to Schneider. The administration has taken steps to address the needs for at least some of the cyber-specific workforce through a proposed rule change that would give direct hire authoritydecision-making to the heads of agencies rather than having it go through the Office of Personnel Management when it comes to hiring critically needed IT personnel. Schneider applauded this step but said that the nation would have to take broader actions to really address the spectrum of cyber personnel needed in today’s environment. Schneider said that the national cyber strategy would also work to address the broad spectrum of supply chain security issues that appear in federal acquisitions, critical infrastructure components and commercial products. To ensure agencies are taking action on the needs outlined in the strategy, the administration is currently developing an implementation plan, which will not be publicly released in order to keep American adversaries in the dark about government cyber plans, according to Schneider. Agencies will also have to weigh the balance of defensive and offensive cyber capabilities, the latter of which Schneider called an “inherently governmental” capability, that will fall into a larger international security strategy. “I don’t think Putin is going to go, ‘Oh no, the U.S. has another offensive cyber thing, maybe I should stop using my offensive cyber capability.’ That said, I think our offensive cyber capability can be very, very targeted," said Schneider.